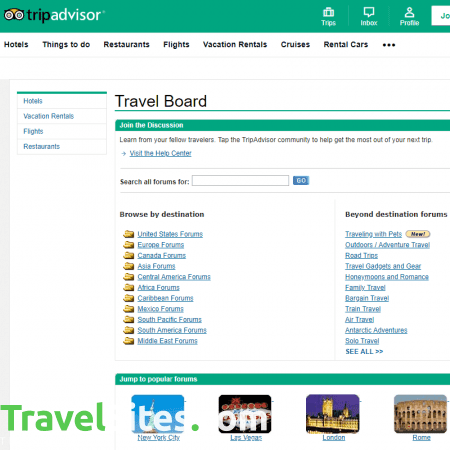 TripAdvisor is one of, if not the, world’s largest travel site, featuring over 700 million reviews covering a selection of restaurants, cafes, bars, hotels and landmarks around the globe. 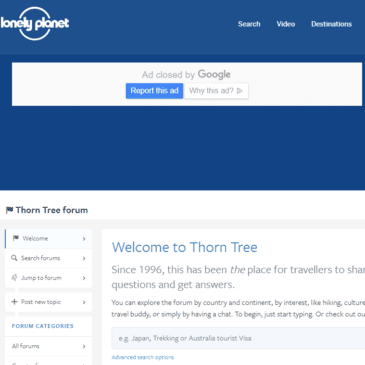 Since launching in 2000, it has become a vastly useful resource for travellers and locals who resort to the platform to gain insight, read user feedback, view photos and leave their own reviews on a variety of different places. 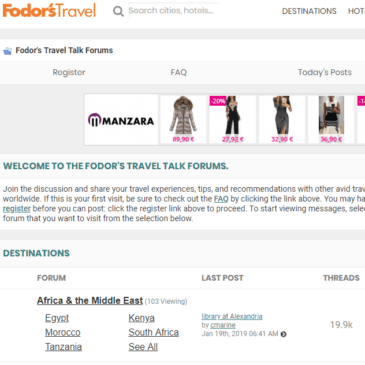 They also offer a travel forum, which allows TripAdvisor’s vast community to pose questions and give tips and advice on a range of travel-related topics, be it travelling with pets or finding the perfect location for a romantic getaway. 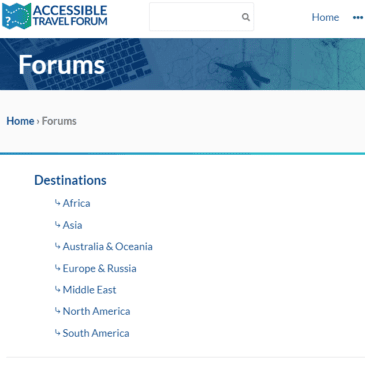 One of my favourite features of the TripAdvisor Travel Forum is how you can choose categories either by destination or what they call ‘Beyond destination forums’. 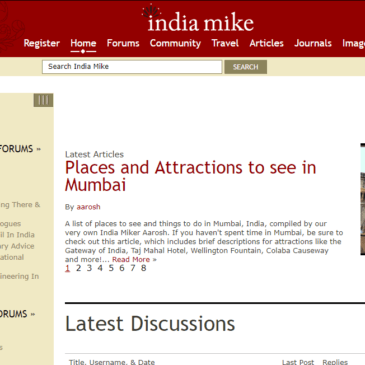 The destinations are easy to browse, first selecting continent or region before narrowing down the search. If you already know exactly what you’re looking for, you can use the search bar to quickly find out if someone has already asked the question and, if not, then post your own. 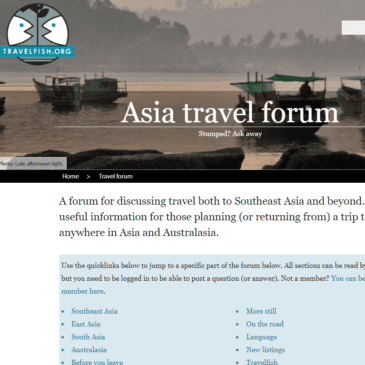 ‘Beyond destination’, on the other hand incorporates topics such as bargain travel, travel gadgets, solo travel and road trips. This means that if you know what type of trip you’d like to go on but do not yet have a specific location, then this can help you find out more on that particular area of travel. 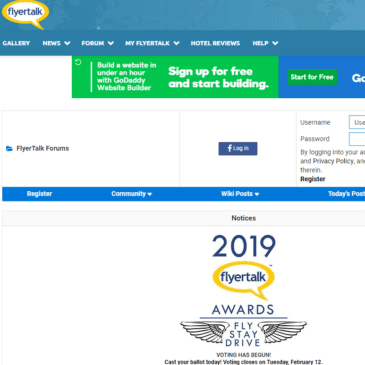 A downside to the forum, however, is the lack of lack of filters to narrow down posts. 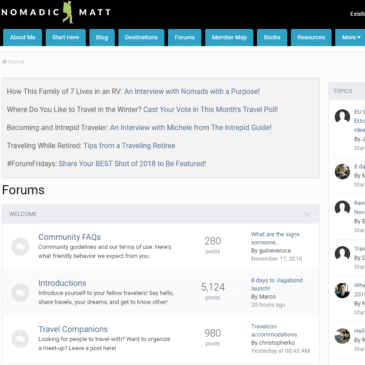 Although you can choose specific regions within countries, there is no option to narrow topics down, for example, so that you only see food-related posts. 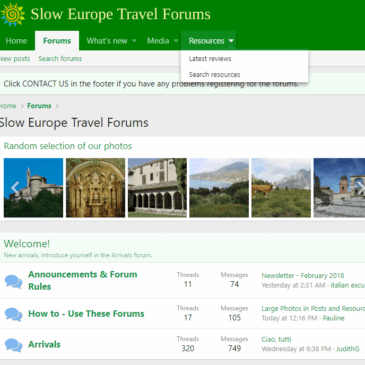 The addition of more filters would make it more encompassing and quicker to find specific topics. 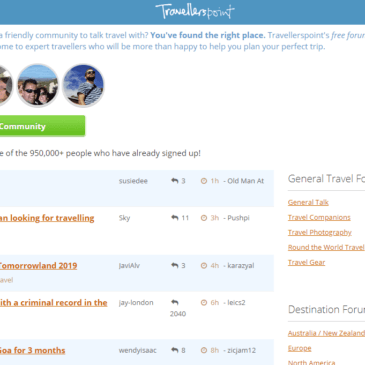 A downside to the forum, however, is the lack of lack of filters to narrow down posts.